We are very excited to be inviting Joanne Lockwood from SEE Change Happen to deliver an engaging and interactive discussion about transgender awareness and inclusion, breaking down misunderstandings and the fear of getting it wrong. 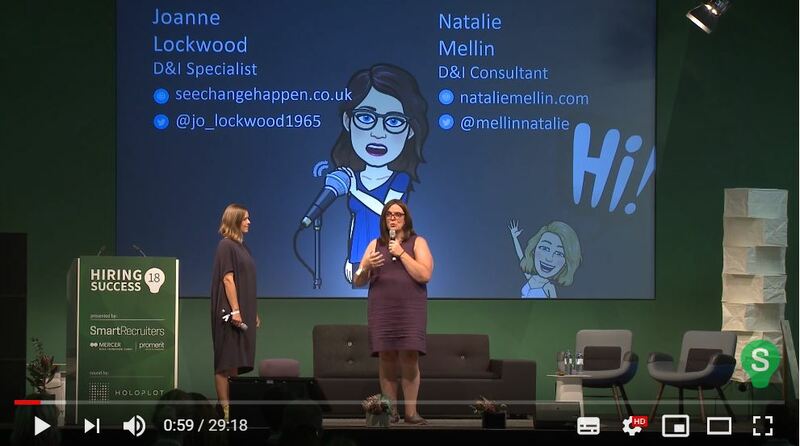 Joanne is a professional speaker, blogger, mentor and Equality, Diversity & Inclusion Consultant who talks about her journey in a very open, passionate but light-hearted way. Joanne is the founder and CEO of SEE Change Happen, an Equality Diversity & Inclusion Practice specialising in providing Transgender Awareness and support to organisations and businesses all over the UK. Joanne is the first openly transgender past National President of the 90-year-old ‘Men’s Club’, The Round Table. In 2016 she embarked on her personal rebrand, selling her successful IT services businesses that she had built up over 25 years and transitioned. Here mantra is Smile, Engage and Educate and she passionately believes that “people are people” and, no matter who they are, deserve to be treated with dignity and respect. Within this event we’ll be discussing some of the challenges being faced by Trans and Gender non-conforming people. These challenges affect every aspect of daily life – in the workplace and in our wider society. This session is particularly relevant and timely as the results of a Stonewall commissioned ‘You Gov’ survey indicated that 1 in 5 LGBTQ people do not feel able to be open about their sexuality at work: furthermore 77% of those who’d experienced a serious work place incident said they’d prefer not to report it, fearing that nothing would happen. The newly announced government action plan launched by the Equalities office is aiming to offer better more effective support to LGBTQ individuals and will get £4.5 million in funding. ‘This is Us’ is an event about supporting and improving corporate cohesion and productivity in teams by championing inclusivity and diversity in the workplace, focussing on the LGBTQ+ community (including BAME, Women & Disability). Businesses and business owners, HR Directors and anyone who has responsibility of managing people, who would like to enhance their knowledge and understanding of diversity in the workplace. To hear insights and gain practical tips from corporate leaders in order to share best practice and key learnings about corporate diversity. Joanne Lockwood is hosting a workshop on “Transgender Awareness & Inclusion” with a focus on the workplace.